Mix in milk, fruit juice, soups or chopped meat. Its superb taste means you can sprinkle it on salads, cottage cheese, yogurt and other foods. Use it in cooking meat loaves, casseroles and many other dishes. Vegetarian. 16 oz. powder. 30 servings per container. Directions: For adults, take one (1) tablespoon (15 g) one to four times daily. Mix in milk, fruit juice, soups or chopped meat. Its superb taste means you can sprinkle it on salads, cottage cheese, yogurt and other foods. Use it in cooking meat loaves, casseroles and many other dishes. Ingredient: Brewer’s Yeast. Contains: Wheat. Warning: If you are pregnant, nursing, taking any medications or have any medical condition, consult your doctor before use. Avoid this product if you are allergic to yeast. Discontinue use and consult your doctor if any adverse reactions occur. Keep out of reach of children. Store at room temperature. Do not use product if pull ring under cap is damaged or broken. Warning: THIS PRODUCT CONTAINS A CHEMICAL KNOWN TO THE STATE OF CALIFORNIA TO CAUSE BIRTH DEFECTS OR OTHER REPRODUCTIVE HARM. Brewer's Yeast Powder is rated 4.7 out of 5 by 6. 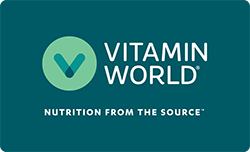 Rated 4 out of 5 by Anonymous from Excellent Product This was my first mail order with Vitamin World, so this review is really more about that order than the product. I did first start ordering from Vitamin World because of your Brewer's Yeast. I just wish you had it in a form that was not quite so powdery. It is very hard to mix in with my yogurt. About the order... your process is lacking. I got no specific order acknowledgement... and no shipping information. On the plus side, when I called, I was able to get a status on the order. On the website my order stated "being processed" long after my shipment. Rated 5 out of 5 by chulles from outstanding product! Brewers yeast powder has a great taste! It's great with shakes or I mix it with water and flaxseed meal. I thoroughly enjoy the high nutritional value of B vitamins and fiber. The price is very reasonable and it always get shipped to me in just a few days. I highly recommend this Brewers yeast product and I will continue to buy it. Rated 4 out of 5 by Dot from Good Bitterness I love the bitter taste! I mix it with flax meal and water or rice milk. It's the perfect "snap" in the morning.